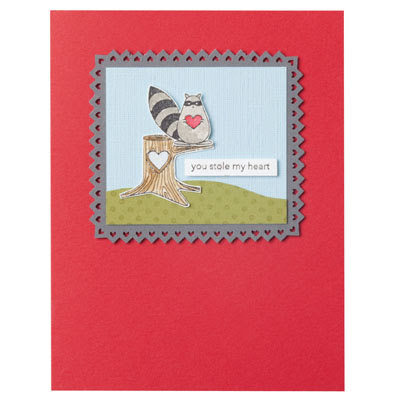 He's a thief of love, our little Love Bandit racoon, and he's sure to steal your sweetheart's heart this Valentine's Day! What a cute card. I really enjoyed your blog. Thanks for posting your blog on Stampin' Connection.